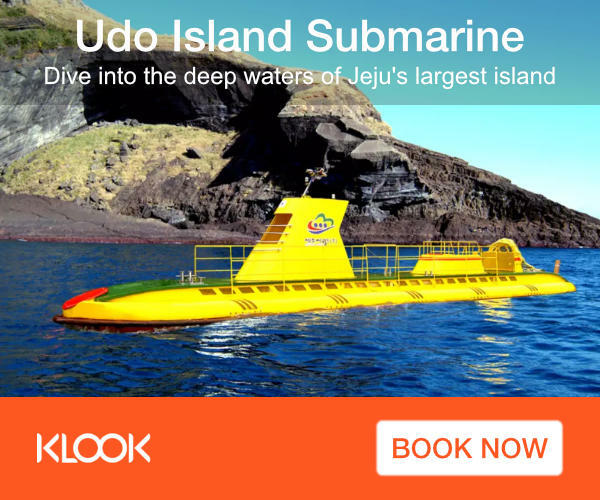 Staying in Seogwiop City (Seogwipo-si) and to explore the eastern part of Jeju Island, I had to take a bus to Seongsan Ilchulbong (Seongsan Sunrise Peak) and take a ferry to Udo Island. 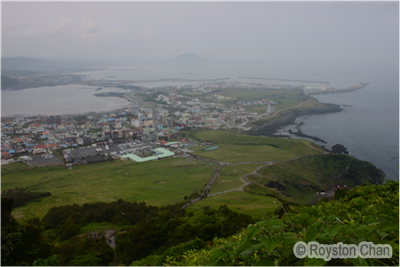 Seongsan Ilchulbong is a tuff cone formed by volcanic eruptions many years ago and lies on the far eastern side of Jeju Island. 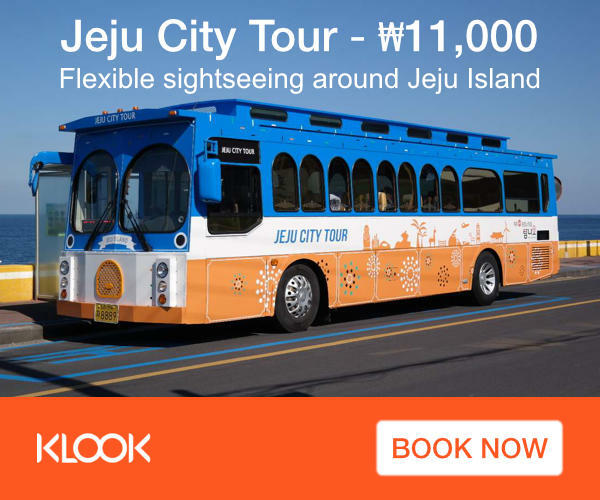 Apparently Seongsan Ilchulbong is famed for magnificent sunrise views… however it is about 1.5 hours bus ride (up to 2.5 hours depending on the route) from Seogwipo-si and hence nearly impossible to get there before sunrise. As I did not want to splurge on a taxi ride, I decided to skip the sunrise and get my sleep instead. 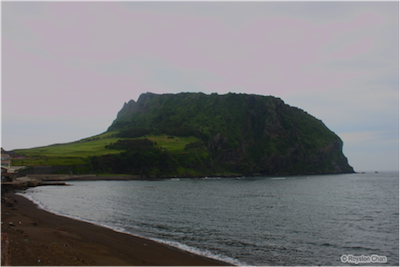 I was supposed to take the Dongilju bus to Seongsan; this is a bus ride along the coast of Jeju Island and should take more than 2 hours. However as I got there in 1.5 hours, I am somewhat sure I took the wrong bus. Anyhow, I still got to my destination. But this brings me back to the point of language barrier – no one could understand me when I tried to pronounce “Dongilju”. Well at least the bus fare is cheap – 3,000 won (S$3.30). It wasn’t a very easy climb up Seongsan Ilchulbong. There are paved roads and proper steps, but they are steep! By the time I was nearing the top, I was panting and perspiring profusely! But boy! The view at the top is rewarding! You’ll see a crater but with grass grown all over it. 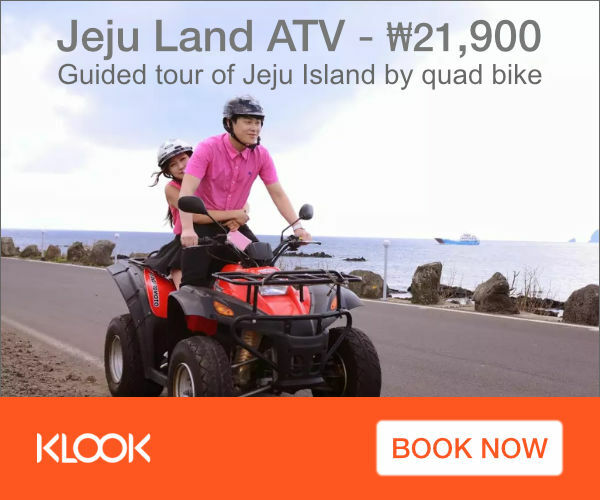 Of course, you’ll get a view of Jeju Island too! 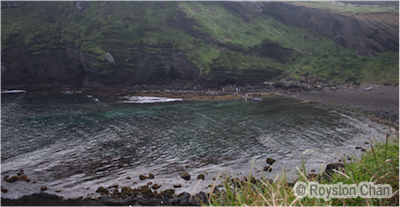 Coming down from the peak, I walked to the shore where there was a performance by the women divers of Jeju. Women started training as divers since a young age and they do this till they are about 60 or 70 years old. And this is where you get all your fresh seafood! The live demonstration by the 5 ajummas (married women) was indeed eye opening; in less than 10 minutes, one of them caught an octopus! In the afternoon, I took a 20-minute walk from Seongsan Ilchulbong to Seongsan Port, where I bought a ferry ticket (return ticket costs 5,500 won) to Udo Island. 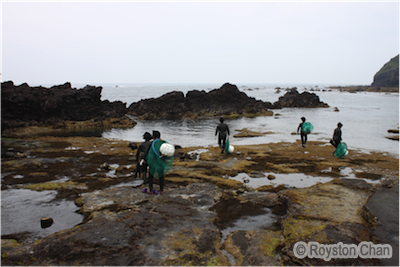 Udo Island is a much smaller island and it’s about 15 minutes boat-ride away from Jeju Island. 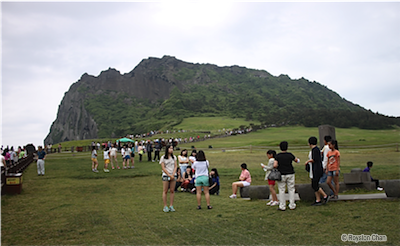 The visit was by far my most exhilarating experience in Jeju. 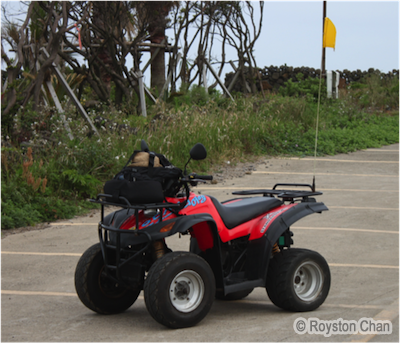 Upon arrival at Udo Island, I rented an ATV (25,000 won for 2 hours), and off I went around Udo Island! It was so exciting to drive along the coastline, feeling the breeze in your face, stopping wherever you feel like to take pictures. Traveler’s tip! 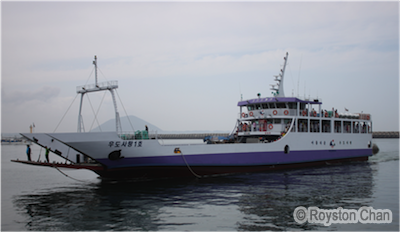 Remember to check the last ferry timing back to Seongsan – normally ferries operate every hour and the last one departs at 6pm. You wouldn’t want to be stranded! 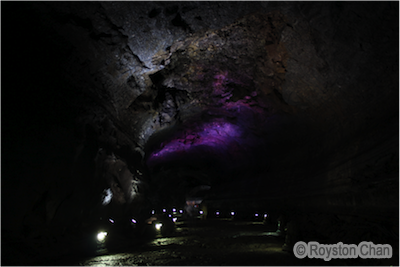 Udo Island is famed for its beaches, but my favorite attraction is the Dongan Gyeonggul Cave. To get there, you’ve got to walk across the Geommeollae blank sand beach, and climb over many rocks and stones before reaching the cave’s entrance. It is quite off the beaten path and not a lot of people venture that far out. The experience reminds me of the Famous Five storybooks I read when I was younger. Although it was a little dangerous, trod with care and you’ll be fine. 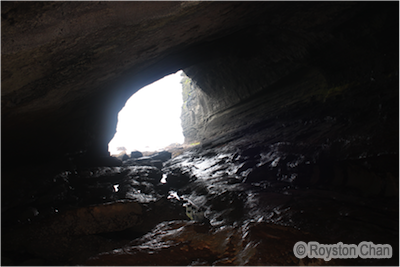 As it was my first time being in a cave, that was definitely very exciting! 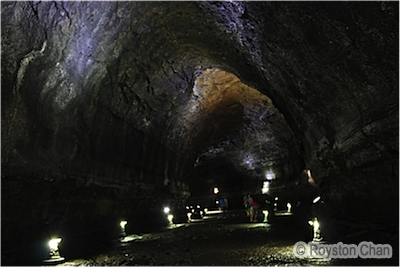 The Geomunoreum lava tube system is a series of lava tubes erupted from the Geomunoreum volcano. 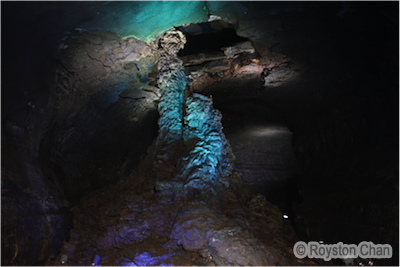 The Manjanggul lava tube is part of the Geomunoreum lava tube system. Stretching as far as 7.4km in length and having a main passage with a width up to 18m and a height up to 23m, it is one of the largest lava tubes in the world. Only a certain portion of the lava tube is open to the public; a slow and leisurely walk inside and back out took me about 1.5 hours. 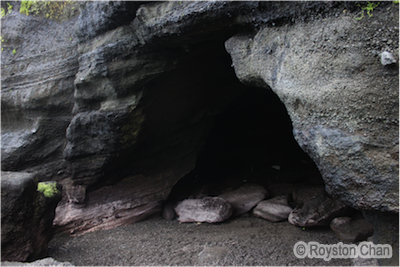 It was certainly a very interesting visit; a walk into the dark passage of the lava tube reveals various lava formations and decorations such as lava flowlines, lava stalactites, lava raft, lava shelves etc. At the end of the trail is a 7.6m high lava column, and this is the largest known lava column in the world. Very magnificent indeed! Traveler’s tip! Wear comfortable shoes and bring a sweater. Temperatures inside the lava tube falls to as low as 10 degrees Celsius!